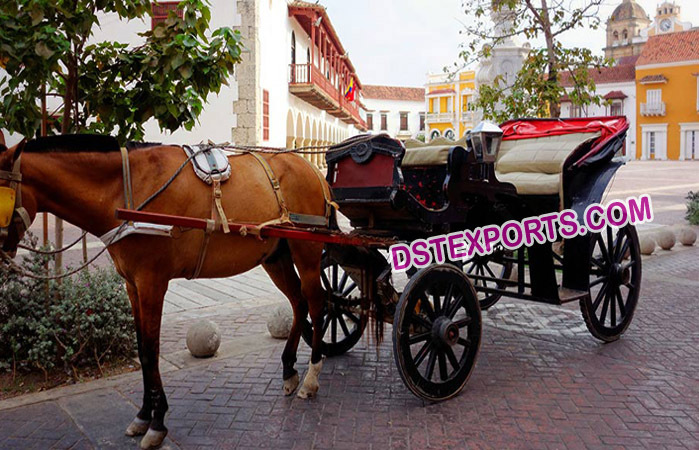 DST Exports are offering our services for formal and informal occasions. We have a nice selection of carriages. For your wedding day, you may select our Victoria Horse Carriage. This elegant carriage easily seats four adults comfortably, so we can transport the bride, groom, best man and maid of honor all once if you wish. We can also take the bride and groom for a ride between their ceremony and reception so that their first private moments as man and wife are truly special and meaningful, before joining their guests at their reception. We will gladly decorate our vehicles with your color themes or place signage on them at your request. We will work with you for a planned or surprise event, be it wedding, anniversary, engagement.